Viking Books for Young Readers, 9780670014682, 448pp. Selected for the American Library Association's 2015 Amelia Bloomer Project List. Selected for the Young Adult Library Services Association's 2015 Best Fiction for Young Adults List. Selected for Booklist's Top Ten Historical Fiction for Youth. Seclected for Booklist's Top Ten Romance Fiction for Youth. "This historical romance, set in 1909 London, has all the elements dear to readers of the genre, especially forbidden love, but the feminist tone and art-history focus add an edge." Selected for Booklist's Top Ten First Novels for Youth. 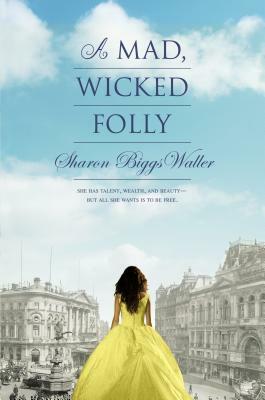 "Waller’s intriguing characters and effortless blend of history and romance make her a new YA voice to watch."